It is with great sadness that we announce the passing of Ed Kitchen on June 4, 2018 at the age of 85 years. He was predeceased by his wife of 63 years, Joyce Kitchen, and his parents, Mike and Mary Kitchen. Ed is survived by his children: Gordon (Eileen) and Eileen’s daughters [Jess and Tara] and their families; Ron (Lori) and their children, Megan (Chris), Brett, Samantha and Arin, as well as two great grandchildren, Jackson and Avery, Shari (Roy) Remus; brothers: Borden Kitchen, Eugene (Karen) Kitchen, and his sister Ruth Genoway. Ed was born in 1933 on a small farm near Good Spirit Lake. He was provided with his first tie in 1937, which he chose to wear with great regularity. Always an extremely bright mind, Ed rose from meager circumstances to graduate from the College of Pharmacy at the University of Saskatchewan. In 1955, Ed married Joyce Osadchuk and relocated to Weyburn where he purchased his first lawnmower, and also started a family. Ed soon went into partnership with Ken Waddell at Waddell's Drug Store where he became a fixture for almost 40 years. 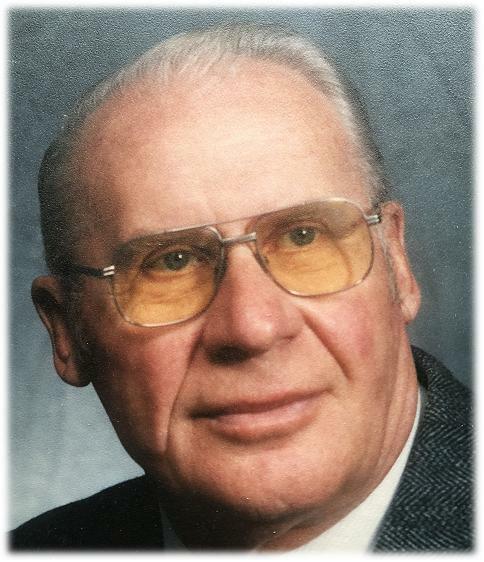 He was a founding member of United Pharmacists of Saskatchewan and served on many pharmaceutical boards. During his life in Weyburn, Ed was very involved in the community. He served for many years on the Weyburn Public School Board, was an active member of the Young Fellow Club of Weyburn, a member of the Weyburn Public Library board, and many other organizations. Ed had two great passions in life. The first was his cottage at Katepwa where he and Joyce enjoyed countless hours of frustration over their garden. The second was his love of flying, and his involvement with the Weyburn Flying Club. A joint "Celebration of Lives" for Joyce and Ed was held on Wednesday, June 27, 2018, at 11:00 a.m. from the Royal Canadian Legion Hall, 150 ~ 3rd Street, Weyburn, SK. Interment followed at Hillcrest Cemetery, Weyburn, SK. A special thank you goes out to all who had to listen his jokes more than once. Though, he did not often say it, Ed truly cherished his family and friends, and loved his life in both Weyburn and Katepwa. Ed leaves behind a shining example of what it means to be a man of integrity, and what it is to live a long and full life. He will be missed! In lieu of flowers, donations can be made to Canadian Cancer Society, 1910 McIntyre Street, Regina, SK, S4P 2R3 or the Canadian Diabetes Association, 917 A ~ Albert Street, Regina, SK, S4P 2P6.